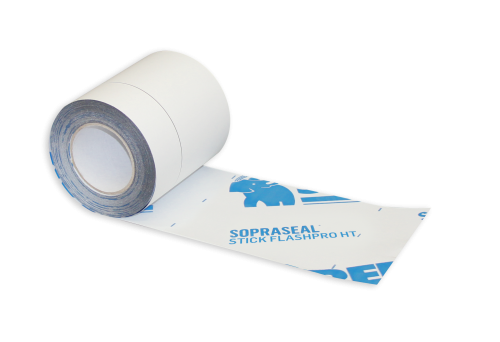 Self-adhesive air/vapour barrier membrane composed of a polymer-based adhesive and a polyethylene film facer used around openings. It can also be used as a through-wall flashing and transition membrane. The underface is covered with a silicone release paper.